The Himalayas, located in Asia’s Indo-Gangetic Plain, contains eight of the world’s 10 tallest mountains and has long attracted pilgrims, trekkers and holidaymakers. The mountain range holds deep religious significance for the Hindu faith, as it is considered the home of the deity Shiva, and so for centuries Hindus would undertake the Himalayan Pilgrimage to visit the many shrines, temples and sanctuaries located on the peaks. Then, in the 19th century, British colonists in India began building summer resorts known as ‘hill stations’ so they could escape the heat of the Indian summer. 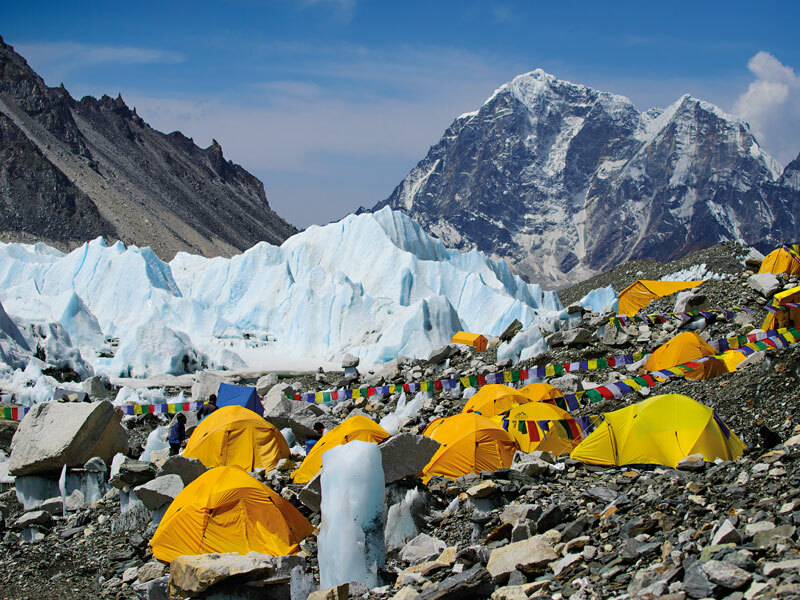 After Edmund Hillary and Tenzing Norgay climbed to the summit of Mount Everest in 1953, a new wave of trekking tourism made its way to the Himalayas. Now, more than 700,000 tourists visit the mountains each year, in search of adventures in the peaks and sightseeing in the surrounding cities. In recent years, tourism has substantially increased in the Himalayan region, mostly in higher mountain folds. According to KN Vajpai, an environmental specialist at Climate Himalaya, tourism has increased by between 50 and 60 percent since the 1990s. The reason for this dramatic influx may lie in the fact that Kathmandu Valley alone has seven exquisite World Heritage Sites, including Kathmandu Durbar Square and the ancient Buddhist temple Swayambhunath. The region’s prosperous wool, cashmere and pashmina trade also draws in visitors from across the globe. Furthermore, those 19th-century hill stations are now popular resorts for holidaymakers. Though the Himalayas’ natural beauty draws in thousands of tourists a year, one of the main reasons so many people travel to the region is to take on the lofty peaks themselves. The Himalayas are home to the world’s tallest mountain, and scaling it is a true feat for any skilled mountain climber. Those in search of a smaller, but still impressive, challenge can climb any of the region’s many other mountains, or trek one of its rocky trails. The Himalayas’ thriving tourism industry is bringing significant economic benefits to countries that host visitors to the mountain range. In Nepal, tourism to capital city Kathmandu accounts for 10 percent of its GDP. This economic growth has created more jobs in the capital, meaning those who were once dependent on the farming industry can now work as tour guides or in hospitality. This economic diversification has hugely benefitted Nepal, India, Pakistan, Afghanistan, China and Bhutan. Although this economic boost is bringing real benefits to the region, tourism to the Himalayas is also having a grave effect on the environment. Extensive deforestation in the mountain range has caused flooding in the lowlands, while pollution from vehicles is increasing and waste left by trekkers is sometimes left unchecked. As a result, researchers are warning that the area’s rich biodiversity is under serious threat, with some species now facing extinction. Whether tourists are visiting the stunning landscape to admire the glorious temples in Kathmandu or climb to the peak of Mount Everest, it is clear that the authorities need to take action to protect the unique mountain range. In doing so, they will ensure that the region’s rare beauty and environmental importance can be appreciated by many generations to come.